What do you get when you put Charlotte Church, Krishnan Guru-Murthy, Lizzo, Stuart Braithwaite from Mogwai and more in a room together to review the singles of the year? 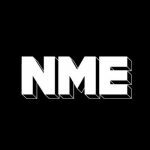 Find out why NME’s celebrity panel just can’t get on with Lily Allen’s comeback single, which Australian artist came out on top, and their predictions for the music industry in 2014. Read more in this week’s bumper Christmas NME special.